Microelectrodes can be used for direct measurement of electrical signals in the brain or heart. These applications require soft materials, however. With existing methods, attaching electrodes to such materials poses significant challenges. A team at the Technical University of Munich (TUM) has now succeeded in printing electrodes directly onto several soft substrates. Researchers from TUM and Forschungszentrum Jülich have successfully teamed up to perform inkjet printing on a gummy bear. This might initially sound like scientists at play—but it points the way to major changes in medical diagnostics. For one thing, it was not an image or logo that Prof. Bernhard Wolfrum’s team deposited on the chewy candy, but rather a microelectrode array. These components, composed of a large number of electrodes, can detect voltage changes resulting from activity in neurons or muscle cells, for example. 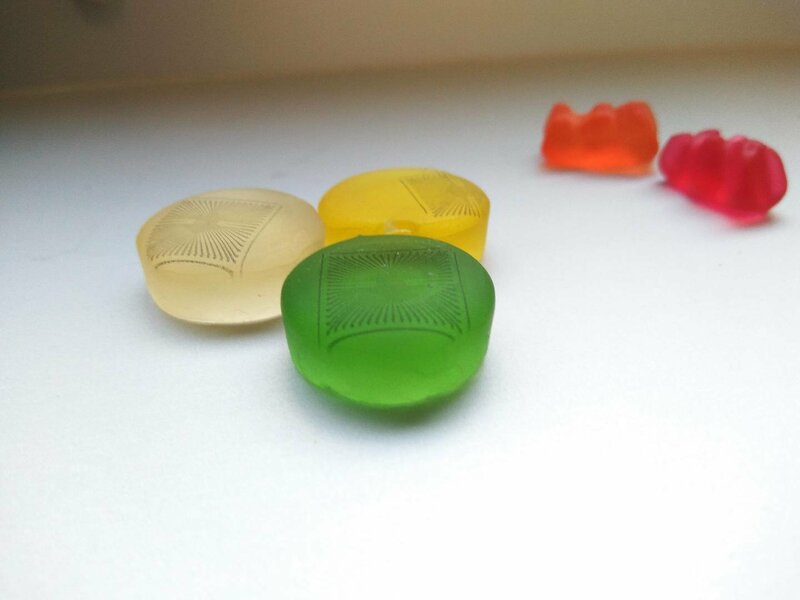 Second, gummy bears are soft, which is important when using microelectrode arrays in living cells. Microelectrode arrays have been around for a long time. In their original form, they consisted of hard materials such as silicon. This results in several disadvantages when they come into contact with living cells. In the laboratory, their hardness affects the shape and organization of the cells, for example. And inside the body, the hard materials can trigger inflammation or the loss of organ functionalities. The researchers tested the process on various substrates, including polydimethylsiloxane (PDMS), a soft form of silicon; agarose, a substance commonly used in biology experiments; and finally, various forms of gelatin, including a gummy bear that was first melted and then allowed to harden. Each of these materials has properties suitable for certain applications. For example, gelatin-coated implants can reduce unwanted reactions in living tissue. Printed microelectrode arrays on soft materials could be used in many different areas. They are suitable not only for rapid prototyping in research, but could also change the way patients are treated. “In the future, similar soft structures could be used to monitor nerve or heart functions in the body, for example, or even serve as a pacemaker,” says Prof. Wolfrum. At present he is working with his team to print more complex three-dimensional microelectrode arrays. They are also studying printable sensors that react selectively to chemical substances, and not only to voltage fluctuations.